Ten Gerberas Arranged In Glass Vase. 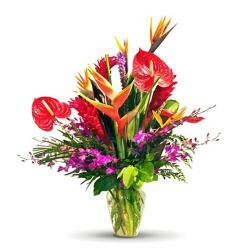 Here is a bright, colorful gift that has cheer written all over it. 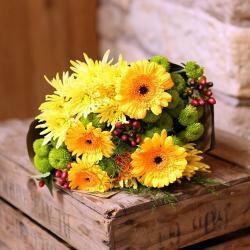 Our vibrant 10 Gerbera daisies are gathered together into a beautifully arrange in vase . 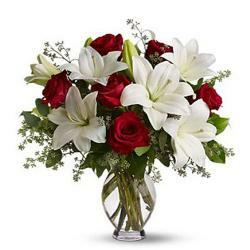 You can deliver for special celebrations Like congratulations wishes, Get Well soon wishes. new house warming wishes and many more.